Atlanta is a hotbed of improv, stand-up and sketch. In our ‘Yes And’ Kinda Weekend series, we highlight some of the cities best shows guaranteed to make you laugh. Improvised Dungeons & Dragons | Dad’s Garage | 8pm – If you like dungeons and dragons and you like improv, you’ll hate yourself for how much badly your into it, but you’ll enjoy every bit of it because it’s hilarious. 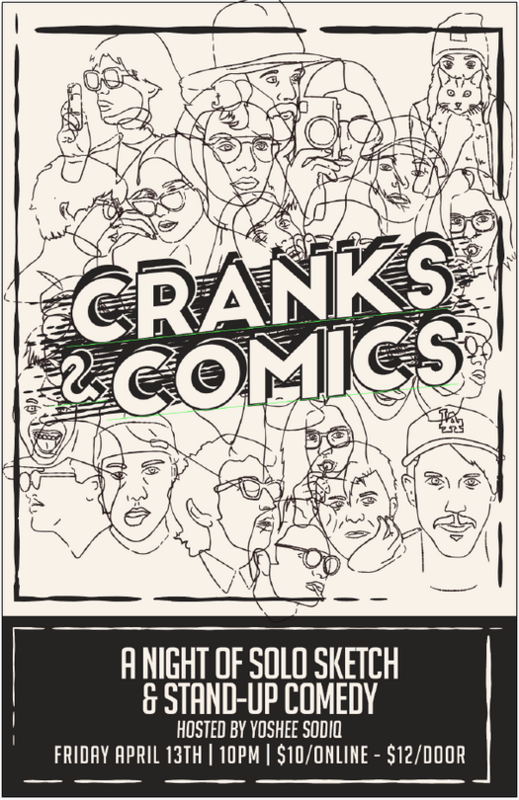 Cranks and Comics | Relapse Theater | 10:30 pm – A fun sketch shows featured comedians doing character work along with some of Atlanta’s favorite comics that you’ve seen on television, shows, and in theaters. | Full Disclosure: I’m hosting this show tonight and I think you’ll really enjoy it. Good Evening, Tonight | Highwire Comedy Theater | 8pm – Super amazing show with great guests, comics, and the writing is fantastic. Relapse Presents: Mike Rowland – Relapse Theater, 8pm – Mike Rowland is an Atlanta favorite and one of the funniest in the city. You don’t want to miss him and his hilarious lineup of comedians.